Ben and Joe have taken a liking to Batman and all things Batman related. This fascination came about in the last 4 months or so after they watched the Batman movie. Batman: The Movie; copyright 1966. Reminds me of my youthful days enjoying Batman. Reruns used to show on "The Family Channel" growing up. 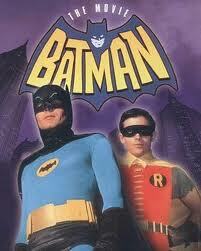 Somewhere in the 4th-6th grade range, my good friend John Juvan and I used to play Batman & Robin. We would hide in a small room or closet (some "secret" place) and pretend it was the Batcave. I made a Batcomputer out of cardboard. Fun to see the enjoyment being passed down to the next generation. See how much you can interpret!